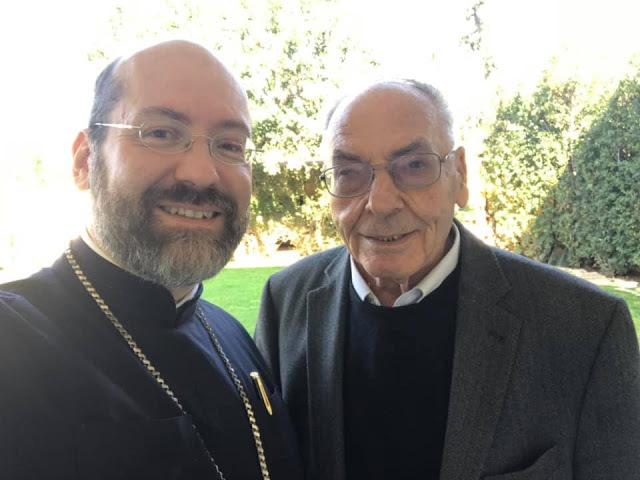 Archbishop Job (Getcha) (see his biography here) has just been appointed Dean of the Institute for Orthodox Theology Higher Studies at Chambésy (Geneva). He succeeds Professor Vlassios Phidas (on the picture above with Archbishop Job). He is also the Ecumenical Patriarchate permanent representative at the World Council of Churches. 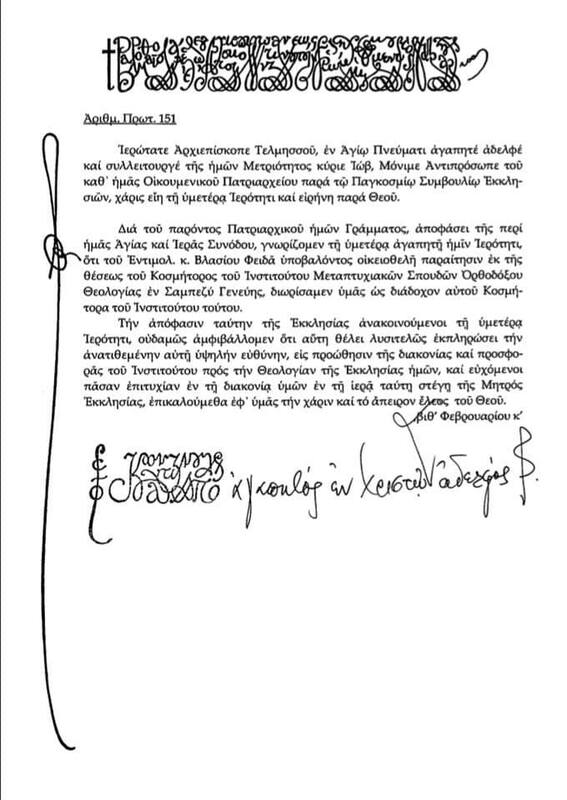 Below is Archbishop Job’s appointment letter received from Patriarch Bartholomew.